In order to get the most out of your management system, you need to understand how it adds value to your child care center, where it limits the need for manual input, and other areas your business has potential to improve on. In this post, we will pull back the curtains, and provide you with an inside look at all the potential benefits child care management systems have to offer. So, you have taken the steps towards implementing a child care management system. You might be wondering, what comes next? When do I start to enjoy the benefits? It may go without saying that your management system won’t do everything for you. It’s important that you are utilizing all aspects of the software, in order to maximize its potential. Here are 6 essential tips for getting the most out of your system. Collecting tuition, reviewing payroll, and tracking attendance are just a few examples of time-consuming administrative tasks that can hamper your ability to provide top-of-the-line child care. Putting a child care management system in place can limit wasted time on these types of tasks. Collecting relevant parent, child, and facility data and applying it to your processes will lead to positive results. Your management system will be a key for maintaining visibility into every financial aspect of your child care center, but there are so many variables to consider. You might need assistance with keeping everything in order. Family accounting software makes that possible, and digital payment processing makes that even easier. Your management system should help you better understand your financial situation. With all of these helpful elements, you will be able to identify where you are wasting time, and why the numbers just aren’t adding up. There’s a good chance that your center isn’t the only child care option for parents in your area, so you need to stand out from the competition. To do so, you need to understand what parents are looking for. Safety and security is always a good place to start. Providing a safe and secure learning environment for children is a top priority for any child care provider, and it’s a top priority for any parent. One example of an enhanced security feature is being able to verify that each pick-up and drop-off is with an authorized person. A child care management system will provide you with the hardware and software you need to maintain visibility into all of the different moving parts that your center requires. The team of child care providers that hire are going to be working with young children each day. If you want provide them with the resources needed to do their job, they need to have access to technology that makes providing care easier. Digital systems are just one aspect of your child care system that can make supporting your staff a breeze. These systems are accessible to multiple users across separate locations, if necessary, and employees can update any necessary documentation without anything slipping through the cracks. Providing advanced tools for scheduling and activity planning empowers your staff to focus on providing care, rather than worrying about organization and management. Safety and security features appeal to parents, that much is obvious. What might be less obvious, but no less significant, is the impact a child care management system can have on your ability to engage parents and communicate with them daily. Your child care software helps keep you on the same page as parents. For parents to feel totally comfortable and trust you as a child care provider, they need to become part of your ecosystem. To do so, you need to include them in the child care journey by sharing things like daily reports and activity information, and allow them the ability to stay connected with their children throughout each day. In our eyes, high-quality child care requires high-quality data collection. This data makes it possible for you to continuously make assessments of your students, your staff, your facility, and your communication with parents. Leveraging a management system provides you and your center with the opportunity to create a culture of constant improvement. The system can help you gather feedback from staff and parents, and you can apply your own insights. Completing this exercise ongoing will help to determine what your strengths and weaknesses are — making the next steps for improvement easier to identify and tackle. Implementing the right child care management system opens your center up to an abundance of potential improvements. 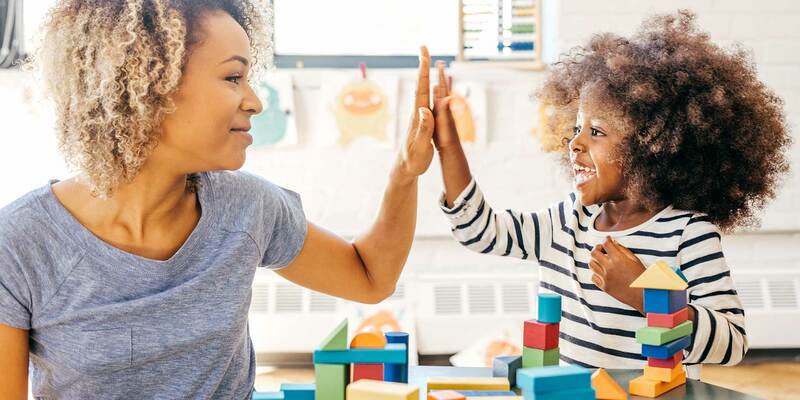 We hope that these tips can help you better utilize your child care management system and gain visibility into all areas of your child care center. Looking for tools to improve your child care management that can boost the efficiency and quality of care at your center? Learn how Procare can help!